What a privilege it is to be a part of this important exhibit and what a magnificent experience this privilege has given me! 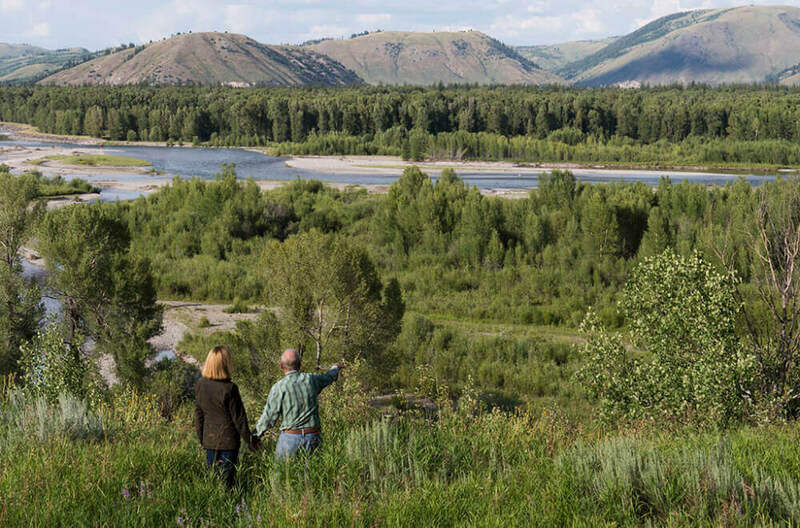 To stand on a bluff overlooking the land that the Oplers have put into easement, to feel the awe that such wild beauty demands, is to fully grasp the significance of Jackson Hole Land Trust. Imagine tromping around late on a summer afternoon in knee-high meadow grass, wildflowers everywhere and a gentle wind always at your back. Throw in an instant friendship with the landowners and you have the experience of this particular shoot. It is the kind of work I feel I could do everyday of my life. I am grateful to have had this opportunity.